There are so many things I like about Little Life Box subscription boxes that I’m not even sure where to start! First off, it’s Canadian. 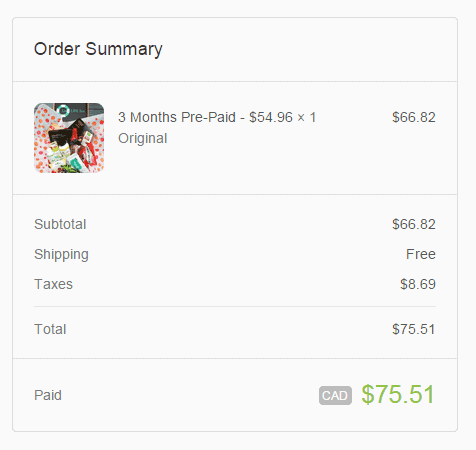 It’s not an American subscription box service that ships to Canada and you get dinged large shipping fees. You also pay in Canadian dollars which is very important to me now with the big difference in our exchange rate. Secondly, it features healthy products including natural and organic products for those wanting to live a healthier lifestyle or for the health-curious. 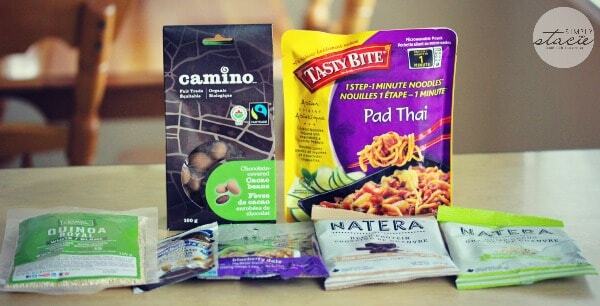 I enjoy healthier alternatives and many of the products featured in my box were new to me. 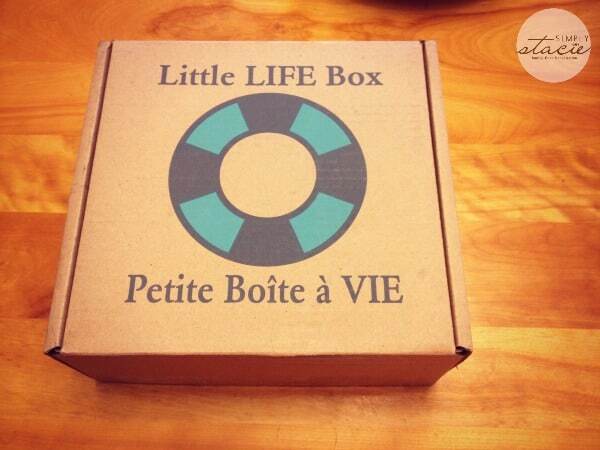 I don’t think there is any other subscription box like Little Life Box in Canada. It’s the first one I’ve ever seen! It also gives you a chance to discover new products that you may have never heard about your own. If you aren’t the type to buy a new full-sized product until you know its a good one, trying a sample size in your Little Life Box allows you to see if you like it or not. If you like it, then you can pick it up at the store knowing it’s something that you’ll like and won’t be wasted. You can choose from their Original or Vegan subscription boxes. Each month you’ll be mailed a dozen healthy alternative samples to try out. If you want to learn more about the Products you received, you can check out the Products page to learn more and to find out where you can buy more. If you prefer to try it out first before you buy a subscription, you can buy a one-month trial box for $22.99. Other options are paying month by month for $19.99/month. Doing the prepaid options are even cheaper per box – they have three month, six month and one year prepaid subscriptions. Want a peek at what was in my Little Life Box? Most of the products were new to me! Camino Chocolate-Covered Cacao Beans: The crunchy goodness of whole cacao beans combined with a velvety smooth coating of dark chocolate (70% cacao) and a light coating of cocoa powder. ​Organic Royal ​Quinoa by Gogo Quinoa: Enhance your health with this super grain, that is an important source of calcium, magnesium, fiber, iron and amino acids that the body needs. Natera Hemp Seeds: An uncomplicated protein-and-vitamin packed healthy treat you can eat anytime, anywhere. Natera Hemp Protein: 100% plant based and bursting with nutritional goodness. Add it to smoothies or any power drink. Peanut Butter by Peanut Butter & Co: A yummy all-natural line of ten amazing peanut butter flavours. Pad Thai by Tasty Bite: 1 minute Pad Thai noodles cooked right in the pouch! Teechia Blueberry Cereal: Nutrient-dense super seeds in a delicious blend with gluten-free oats, blueberries and dates create a sustained energy cereal to keep you energized and satisfied all morning long. Prasana Tea: Organic, loose leaf tea made with a blend of herbs, spices, fruits and flowers. Dr. Bronner’s Castille Liquid Soap: Nothing brings the warmth and coziness of home and hearth into your shower like Dr. Bronner’s heavenly-scented Almond Castile Liquid Soap. 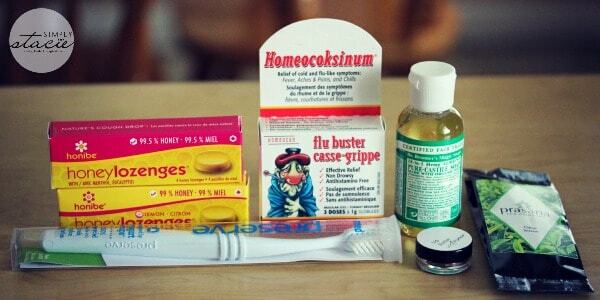 Flu Buster by Homeocan: Effective relief of cold and flu-like symptoms for the whole family. Honibe® Honey Lozenges: Honibe® Honey Lozenges™ with Menthol and Eucalyptus – pure dried honey lozenge with soothing menthol and eucalyptus. Preserve Toothbrush: Made from recycled yogurt cups! Aronia Lip Butter: A delicious Lip Butter concentrated with Organic Aronia Berry Extract, a potent Super Berry, rich in Antioxidants, and vitamins, that delivers superb hydration to dry, chaffed lips. I’ve been using the Honibe Honey Lozenges to soothe my sore throat (tis’ the season!). I also enjoyed the Natera Hemp Seeds mixed in with yogurt. The peanut butter is DIVINE! I’ve been a fan of that brand for years and it reminded me that I must buy more next time I’m out shopping. I’d forgotten how good it was. I have someone very close to me who would flip over a Little Life Box. She’s health-conscious and prefers using natural products. In fact, I’m buying that person a 3 Month Pre-Paid Subscription to Little Life Box for Christmas. I know it’s something that she would have never found out about on her own (she doesn’t go online much beyond Facebook, Pinterest and my blog). Just in case she is reading this post, I won’t say who it is. I wouldn’t want to ruin the surprise. She is going to love it! To buy your own Little Life Box for yourself or a loved one, visit Little Life Box. They accept major credit cards and Paypal and prices are in CAD! Connect with Little Life Box on Twitter, Facebook, Pinterest and Instagram. I love that its Canadian and they make tootbrushes out of recycled stuff. I like that it is Canadian. I liked the Quinoa Penne. 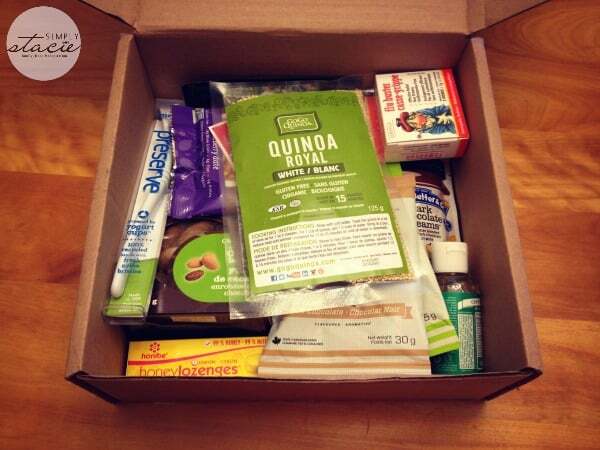 I’ve always loved the concept of monthly box subscriptions but have found a lot of it is only for the US so loving the idea that this is Canadian!! I learnt that it was created by a mother and daughter team and its a monthly delivery service. They were created by “Chelsea and Suzanne Brennan.” Same last name as I. Thanks for the g/a. I would like to try the honey lozenges. I like that it is Canadian which makes me want it more. Like that it’s Canadian and the products are all unique to what I’m used to anyway. I learned that Little Life Box was started by a mother and daughter team. I like that it’s Canadian run. I love that there’s a vegan option, my daughter is vegetarian but prefers to be vegan when it is easy to do so, this would really help! I like the fact that you can buy the things you like after you’ve had the chance to try them. I love that it is Canadian run by a mother/daughter team. LOVING that it’s CANADIAN! I am really interested in trying the HE Laundry Detergent by Bio-Vert. I learned that they are Canadian. I like that you sample the products then buy them if you really like them. I love that it’s Canadian! Too many things these days are American. I learned that it’s really not that expensive for the quality products you receive. I learned that you can choose either the original or vegan subscription. I like the variety of samples that they seem to include in the boxes. I love the variety of products available to try,this is a great idea.